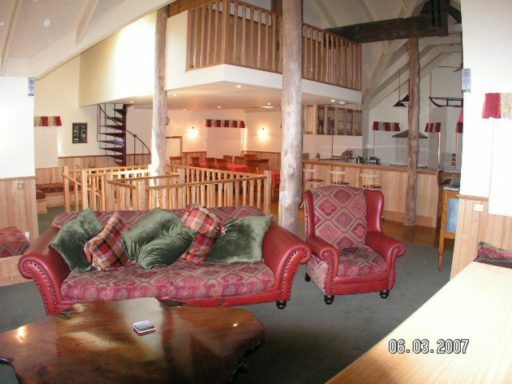 Styled with decadence this 4 bedroom Chalet sleeps 12. 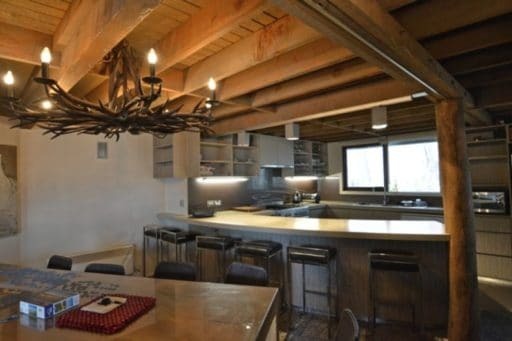 Two living areas and a lovely dining space that features an antler chandelier. With a gourmet kitchen you’ll think your in an Austin Powers movie complete with the cozy combustion wood heater and decadent shag pile carpet. The large and fully equipped kitchen features a 900 stove and oven. 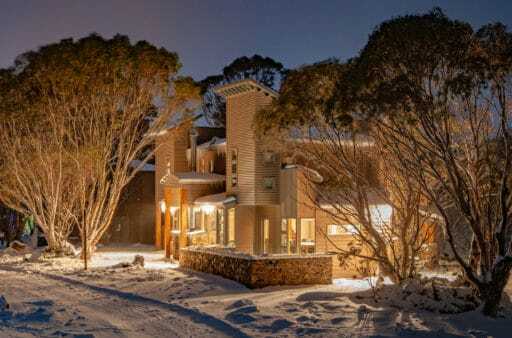 One of Dinner Plain's finest properties, overlooking the reserve this fabulous chalet has 6 bedrooms, 6 bathrooms, 5 spa baths, large kitchen and big balcony with views that go forever.......... You will want to come back and stay at Camelot any time of the year. This has all the WOW's. All living space is on the ground level and includes a large gourmet kitchen and open plan dining area and 2 living spaces. The second living boasts a Billiard/table tennis table to keep you entertained on those nights you would like to spend in and enjoy the Chalet or cozy up on the comfy sofa around the fireplace, or just enjoy the lovely views of the reserve from the window seat whilst reading that old favourite book. 5 bedrooms and 5 bathrooms, sleeps 12. 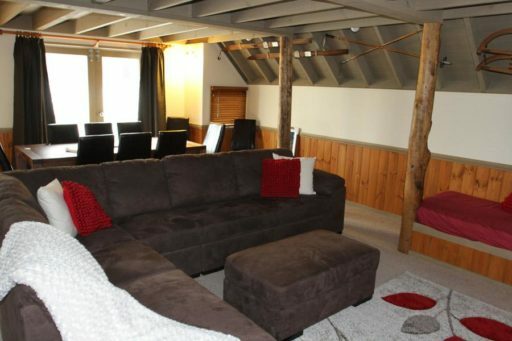 Massive Chalet with 4 bedrooms and a loft sleeping 14. Open fireplace and sauna. A large kitchen and open plan dining and living space. 2 bathrooms and a third toilet. Beds are in configuration Bed 1 - King. Bed 2 - Queen Bed, 3 - Double, Bed 4- Queen, Loft - Double and 4 singles. 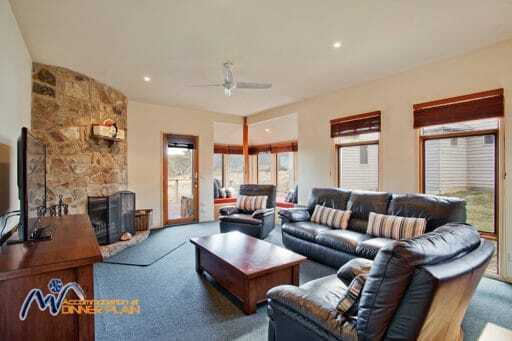 Eagle Rock Lodge is located in Drybone Lane, the best street in Dinner Plain, very close to the ski slope, snow park, shops and restaurants. 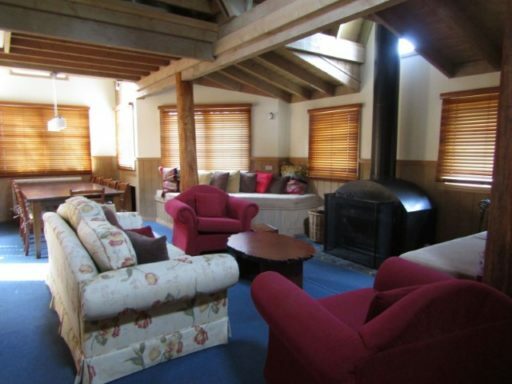 A traditional style chalet large enough for families or groups. 3 bedroom, sleeps up to 11 people. Backing onto a reserve, this large well presented house is great for families or a group of couples. 5 bedrooms, sleeps 12. 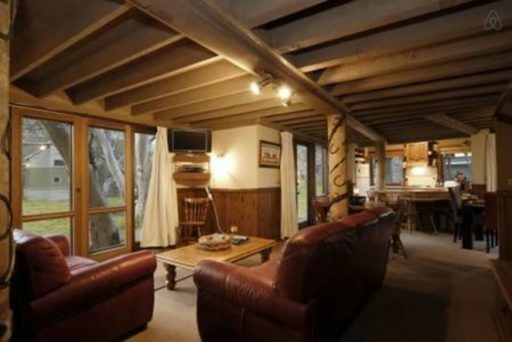 There is a large modular lounge suite and a window seat, looking onto the slow combustion wood heater and large TV. The large dining table has very comfortable chairs and looks onto the deck and reserve beyond. The whole living area is heated / cooled by reverse cycle air conditioning. This gorgeous property has recently been extended, and is the perfect place for you & your family. Situated on Halter Lane, with vacant land adjacent, makes Burrinjuck a great playground. Featuring 4 bedrooms, a kids retreat and TV corner on the first floor and 3 bathrooms, one of which includes a corner spa bath. This top of the range, supurbly appointed property has eveything to make your holiday the best ever. Featuring a large, well equipped kitchen, separate bar, covered deck with BBQ & outdoor setting, ensuite to three bedrooms & flexible bed combination. Sleeps 14. 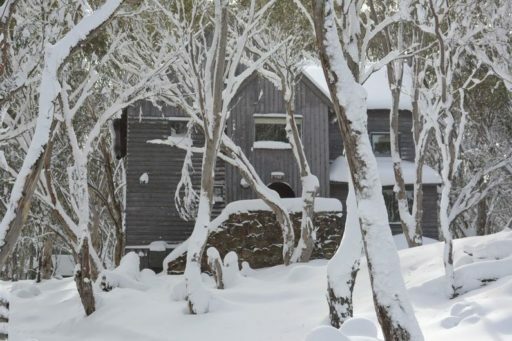 Weathering heights is a large, country style house located in the heart of Dinner Plain. 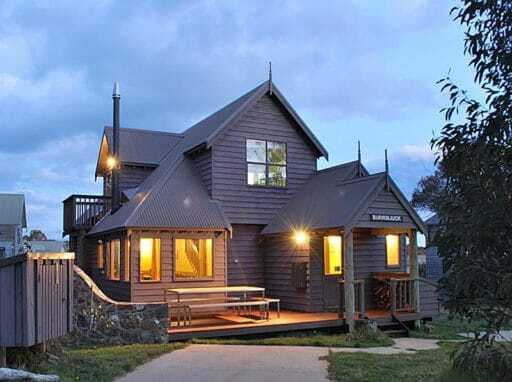 Weathering Heights comfortably sleeps 8-10 people, ideal for one large family, two small families or a group of friends. A well equipped kitchen overlooks the open plan living and dining room areas which will make entertaining, wining and dining so easy. You'll be so much at home here you won't want to leave! High Plains Drifter is in a great location with stunning views over Dinner Plains' reserve. "Perfect"